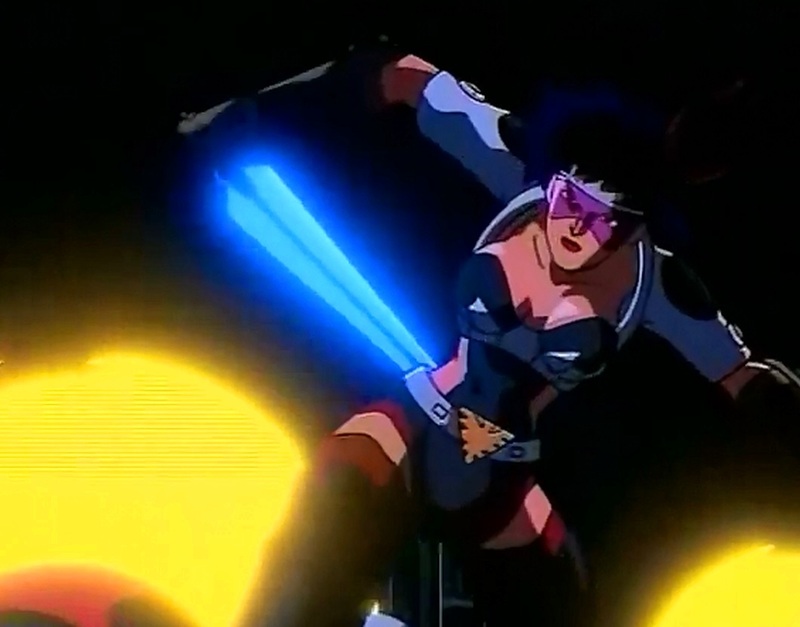 She's Fantastic: Skysurfer Strike Force SLICED ICE! 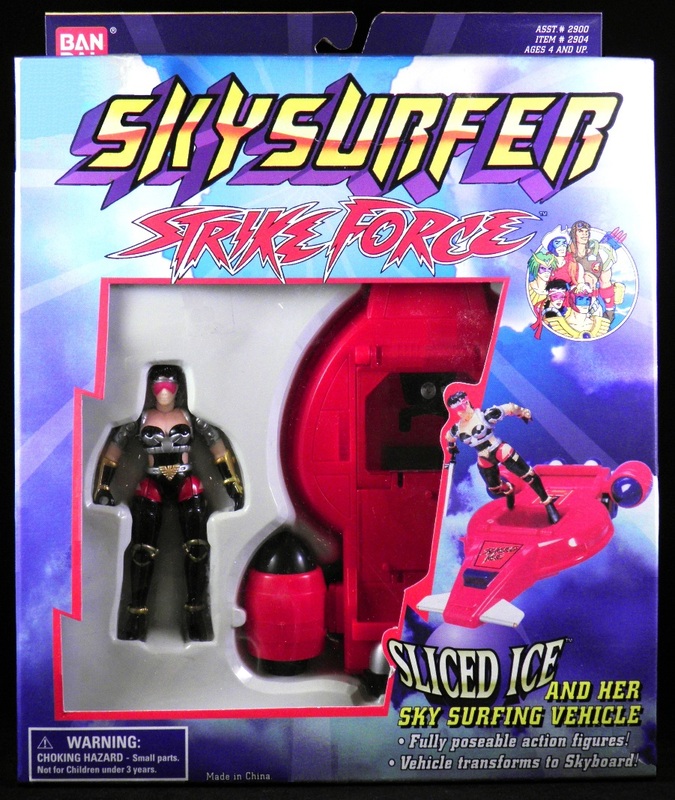 Skysurfer Strike Force SLICED ICE! 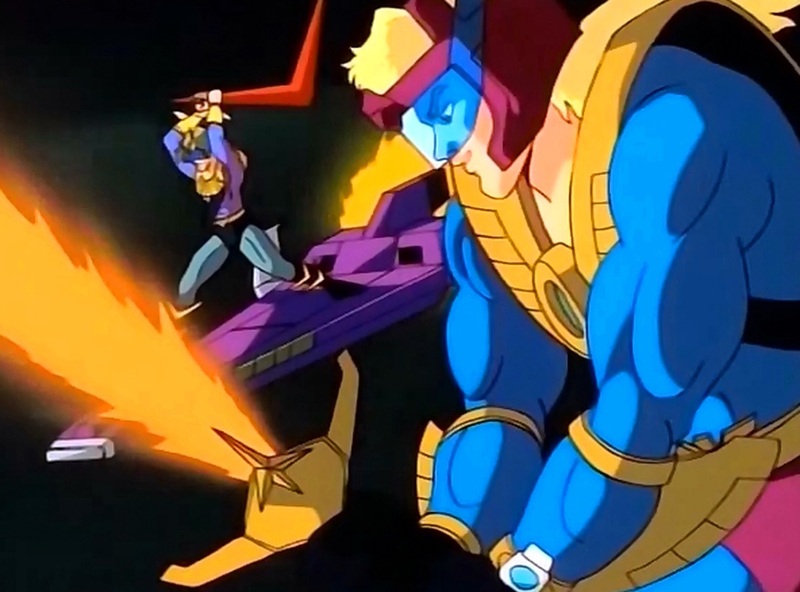 Skysurfer Strike Force was an animated series from 1995 that never got its proper time in the sun. It lasted two seasons and was fairly popular. 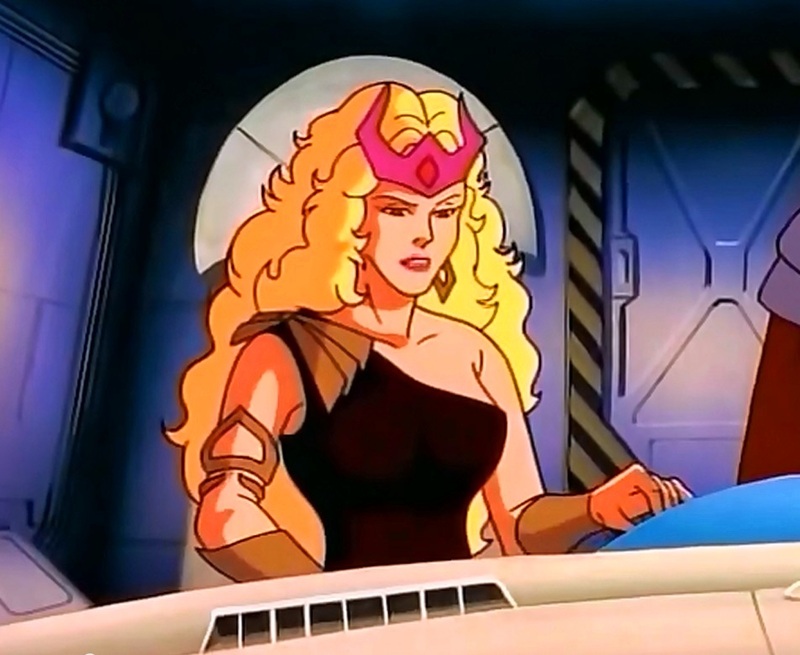 But for some reason it was lost to time and you almost never hear mention of the cartoon or the toylines. 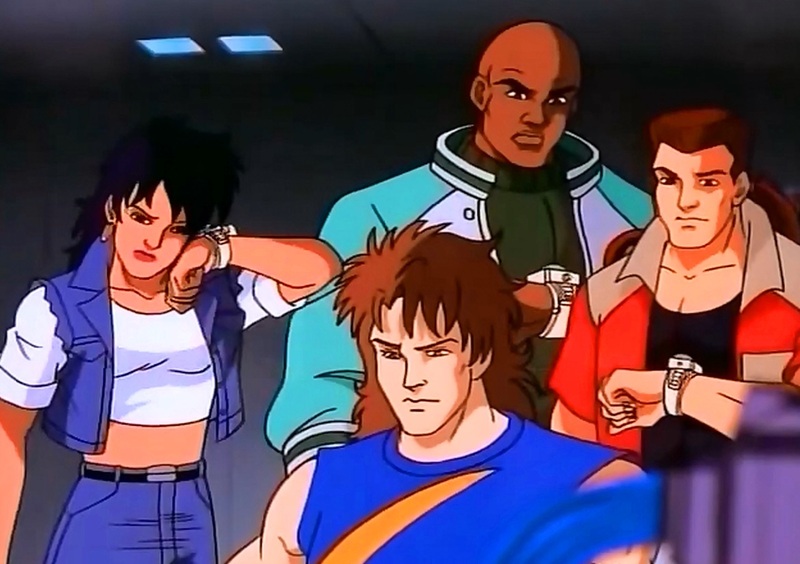 The story in a nutshell is that there are five protagonists with powerful watches that transform them into the Skysurfers - and also turn their vehicles into giant hovercraft/surfboard things. 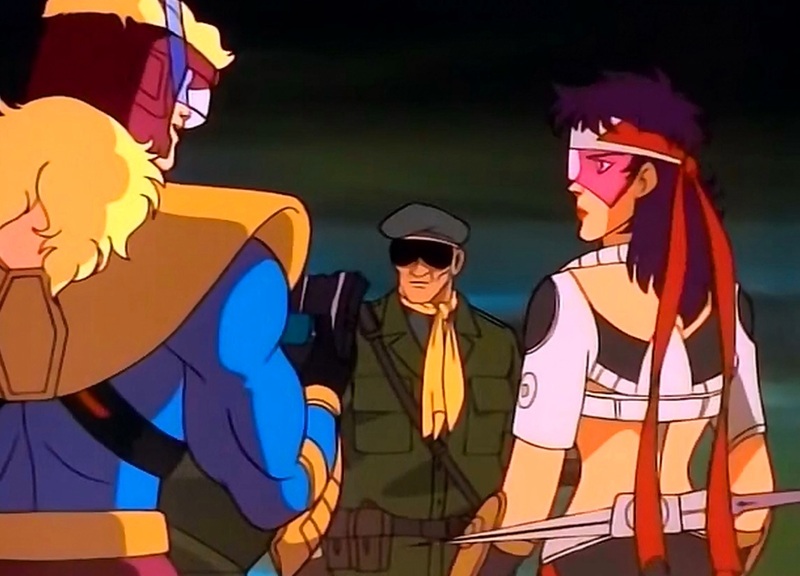 The bad guys are a group of "bio-borgs" led by the evil Cybron, who stole a technologically-developed brain from Skysurfer-One's Dad and connected it to his own brain to make himself an evil genius. Yeah, the plot is weak, and so are the surfboard gimmicks to be honest. 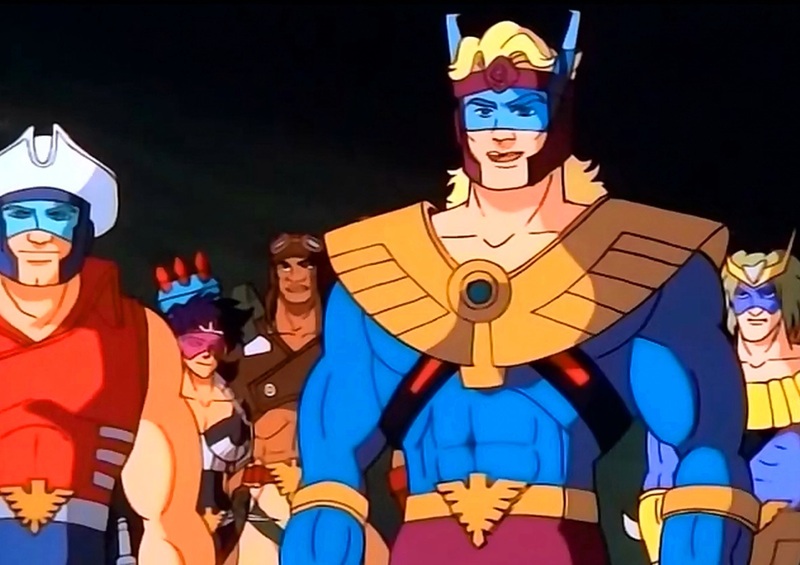 But what is great about this series is the throwback to 80's cartoon culture by means of outlandish character design and wonderfully repetitive transformation sequences. 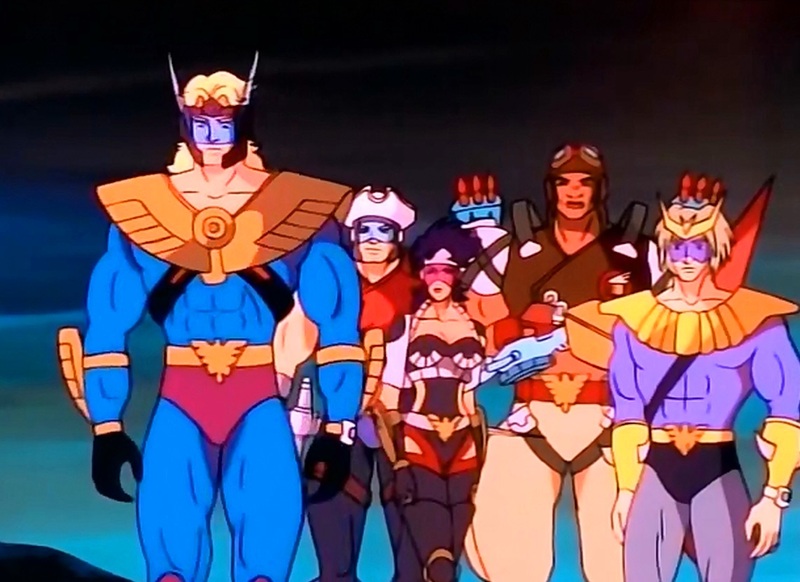 When watching this show, I see correlations to Bravestarr, Silverhawks, C.O.P.S., and so many more, despite airing at a time when most cartoons were in the choppy early stages of CGI. This show just had a classic quality about it that I really appreciate. 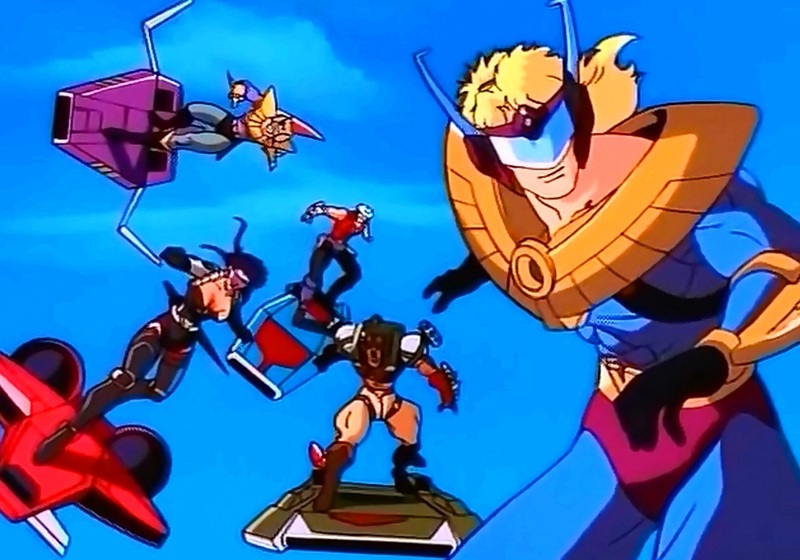 Bandai produced two series of toys from this cartoon. One was a miniaturized series wherein the tiny unarticulated characters were anchored to pull-and-go toys cars. The main series, however, included 3.75" figures and actual transforming vehicles. They're rare but definitely worth hunting down if you have the budget for them. The other toys in this set are awesome as well. Here are some details on the car-to-surfboard transformation. I love the warning for kids not to surf on actual cars. Sliced Ice comes with her signature sword that can perform all kinds of icy tricks. When it's in use, it glows blue. In the cartoons I've seen it shoot ice blasts, extinguish flames, create an ice shield, and turn things to ice as it slices through them. 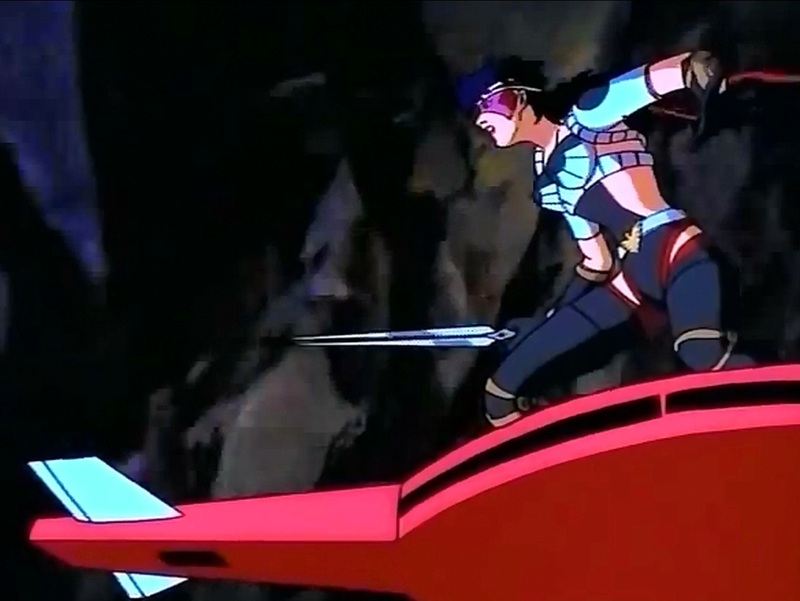 I think it's cool that the leader of the group (Skysurfer One) has a flame sword to counterbalance this one. 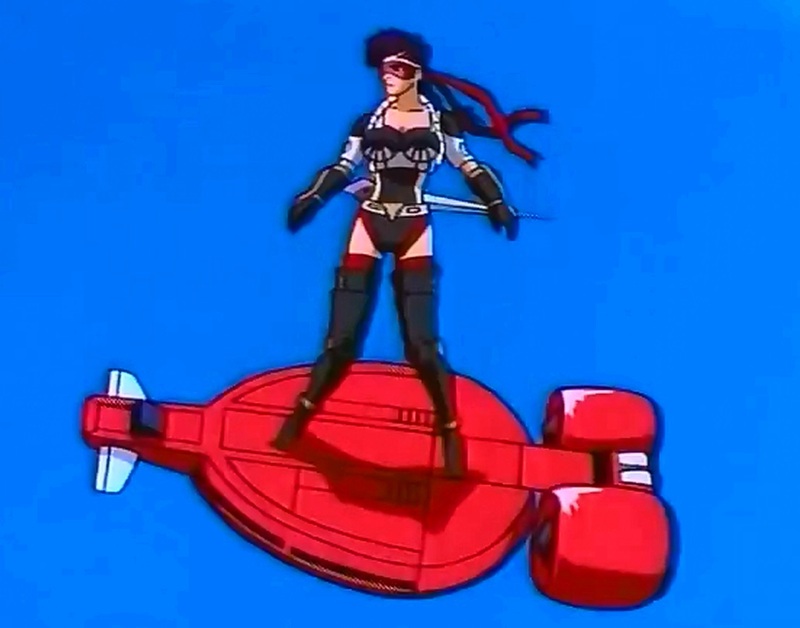 Here is her Skysurfing vehicle. I actually unboxed this figure for this review so I was able to show this "virgin" picture before I applied all the decals. By turning that small red knob under the side of the vehicle, the dome of the car rises into place. There are pegs on the roof of the surfboard to anchor her feet. Also, her sword has a special place in the cockpit. Sliced Ice fits in the driver's seat of the vehicle, but because of the minimal head space she looks like she's taking a nap at the wheel. 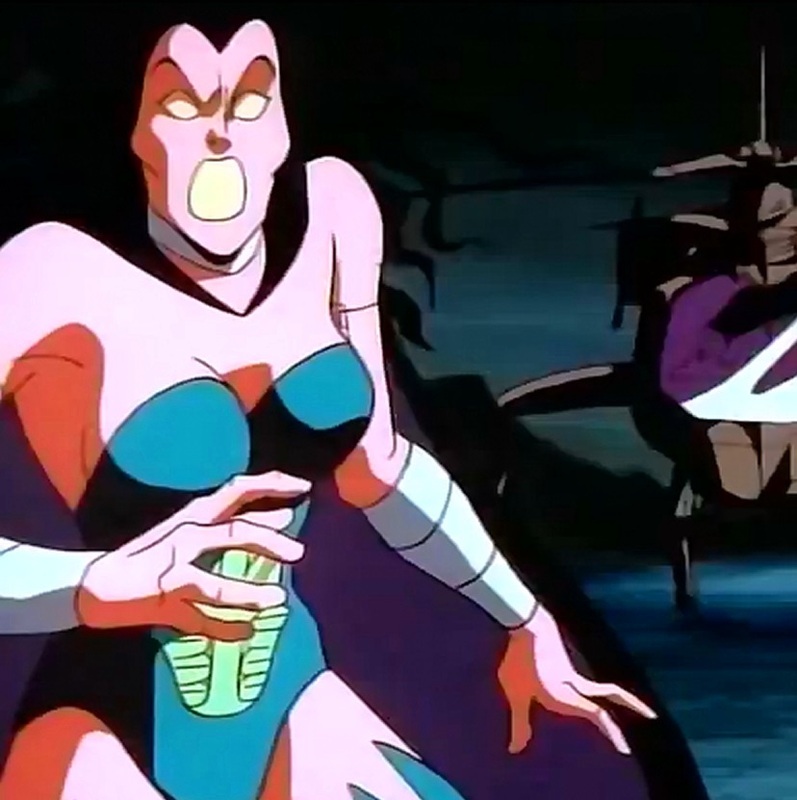 Now here are a ton of screenshots from the cartoon. There are so many because I just made them all myself and I got carried away. 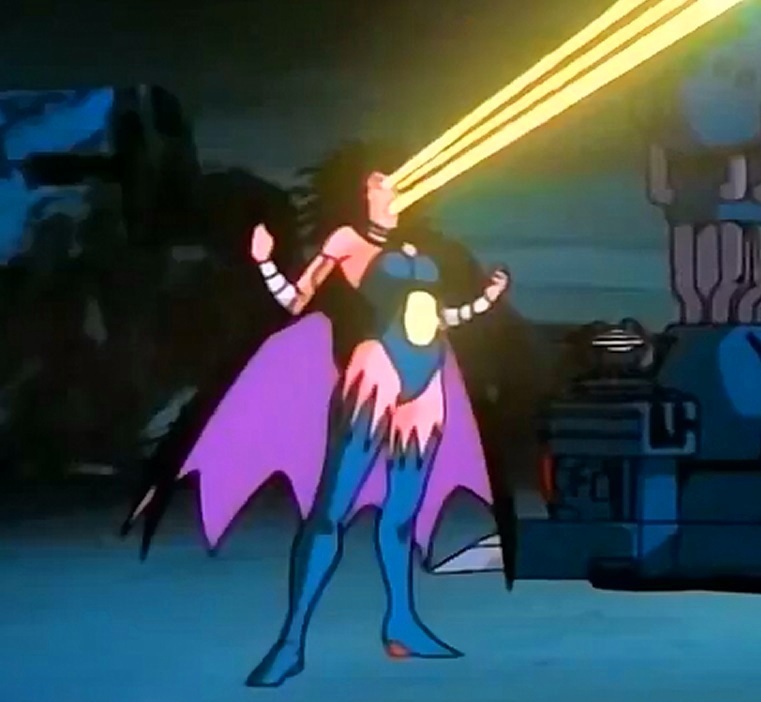 It's really hard to find imagery of the cartoon online so I'm posting all the screengrabs I took. 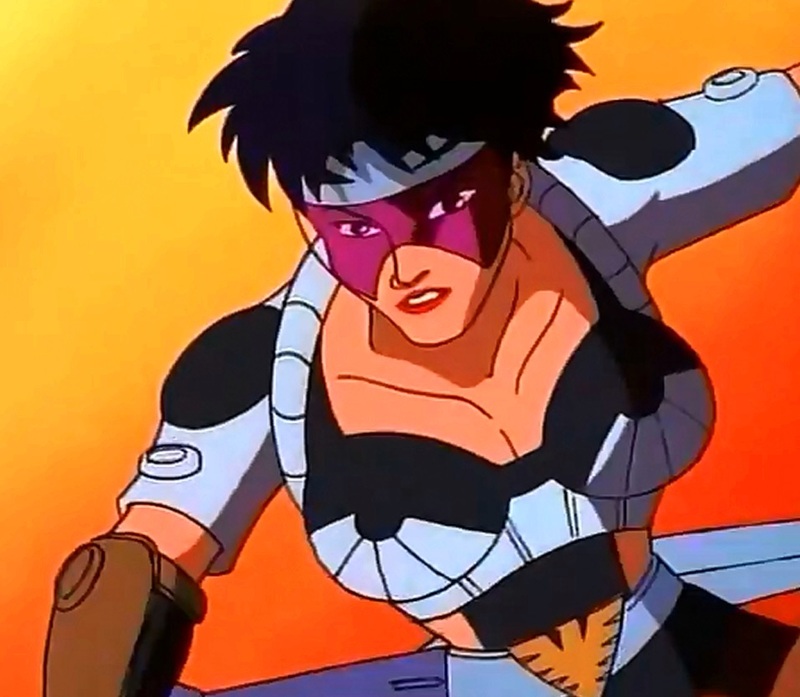 Okay, here is my favorite character from Skysurfer Strike Force, the evil Lazerette. I wish there was a toy of her. 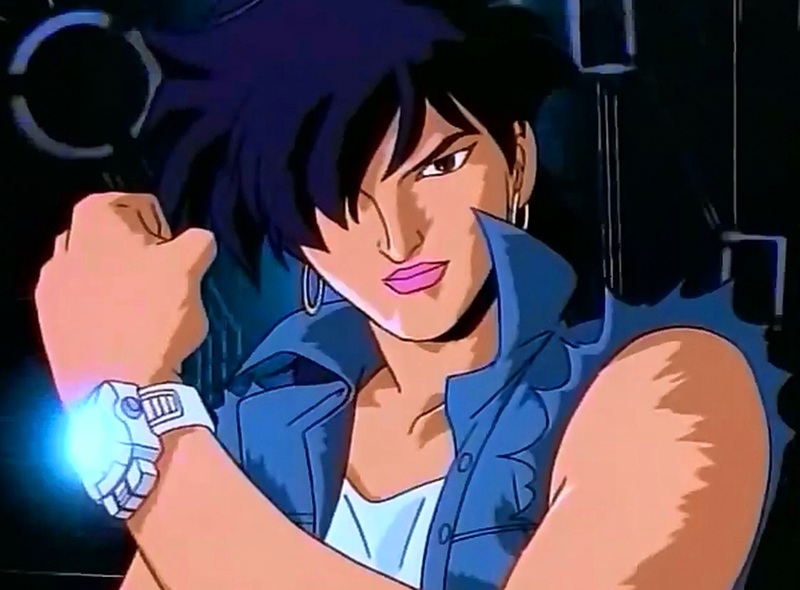 And here's another cool bad girl. This is Cybron's daughter Cerina. 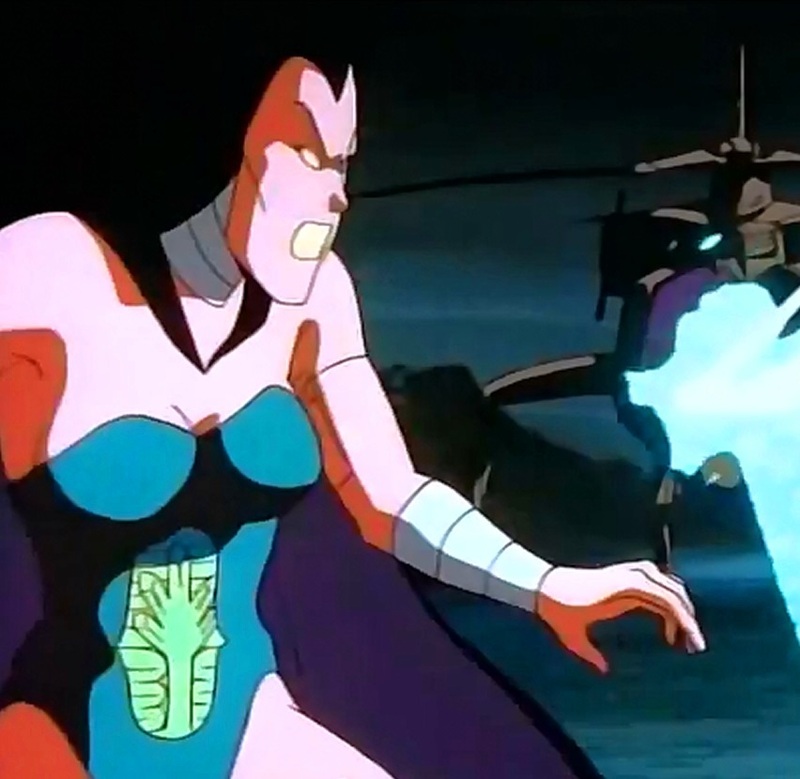 She seems to just delegate orders to the Bio-borgs without ever fighting or revealing any powers of the own (if she even has any). And finally here are some teams shots of the Skysurfers. I'm obsessed with their outfits and impractical hairdos. You and those damn watches. Can you put them away? Are you even listening to me? 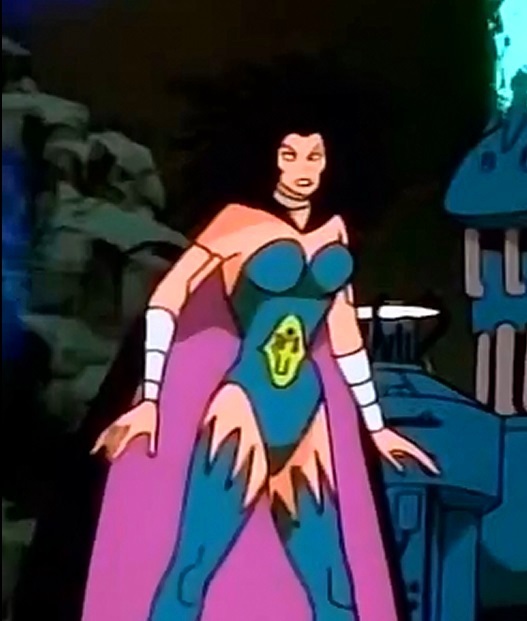 This is a completely forgotten show and toy line. You are the only other person I have came across that has these,I posted about them years ago and nobody had ever heard of them. I've been hunting Sliced Ice forever. 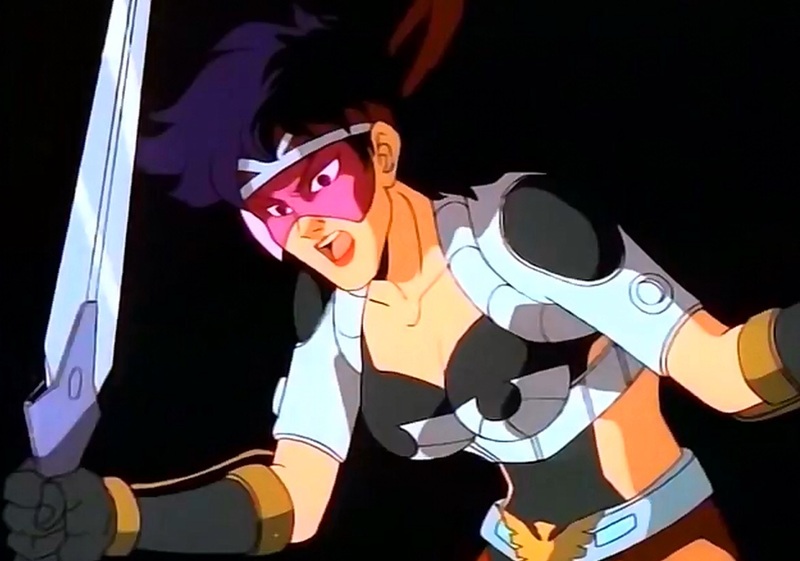 She was a mystery to me since the early days of the "Action Girl's Guide to Female Figures" page. 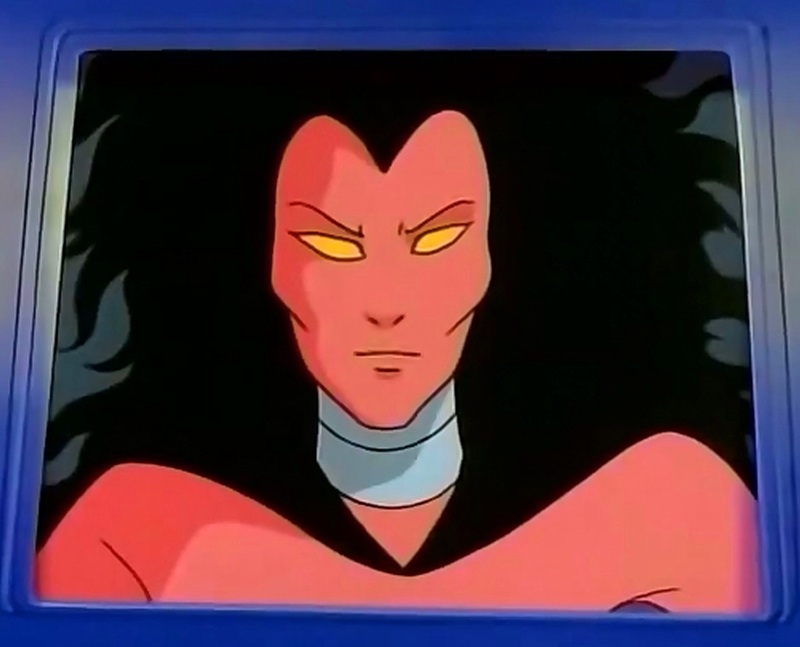 She was included on that website (the earliest female figure database I know of) but with no pictures and she NEVER showed up on ebay. I was years before I even saw a picture. She shows up a couple times a year on ebay and sells for at least $75. But luckily I found her at a convention a couple weeks ago for $20. I saw her at KayBee toy store in the Bridgewater Commons mall in NJ forever. I wanted her, but not $9 wanted her lol. Was sad the day i went there and she was gone, even though i had procrastinated for months. Anyway, I noticed Kisscartoon and even a $1 DVD I bought of this all had one thing in common... they got rid of Super Junky Monkey's punk theme song!!! Luckily, Kisscartoon just got episode 18, which while having low sound, it is present. Man I miss KayBee. One near me in PA always had a big discount bin near the front with super cheap toys on banged-up cards. I didn't use the Internet back then for toy stuff so I would be genuinely surprised by my discoveries. Specifically the Toy Biz New Mutants line and the Trendmasters Voltron reboot.